Schechtl offers Folding Machines and Hand Brakes in sizes from 60″ to 159″ and thickness capacity from 26 gauge to 11 gauge. 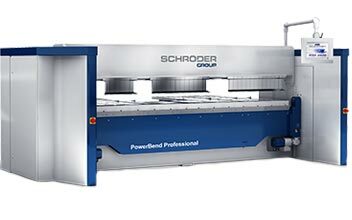 These Folding machines are the fastest, most accurate and easy to use systems available. Features the most advanced 3 axis CNC Control. Hydraulic press brakes, multiple operators, and first generation folders have been unable to provide the lean output required by todays fabrication needs. 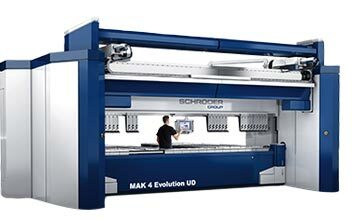 The Schroder line of folders is available in a wide range of sizes and capabilities, each designed to specifically meet the varying demands of the fabrication market. These folders are engineered to perfectly suit today’s need for lean manufacturing, and strike the perfect combination of productivity, flexibility and capability. 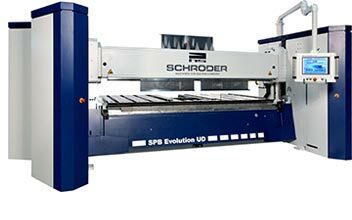 If you have bending needs and previously had only considered a press brake, Schroeder products are worth investigating. These machines no longer compete on the same platform as traditional folders. They are machines that challenge our perception of lean, flexible productivity. They are machines that will save time, cut costs and increase profit. They will change the markets you serve, and how you serve them.